In 1998, a friend gave me a nestbox. We put it up in the backyard, and lo and behold that winter I saw my first Eastern Bluebird. Now my days and neighborhood are filled with bluebirds. A gift of nature shows family and friends that you care about them and our planet. It encourages both adults and children to get out of the house or office and enjoy the great outdoors and learn more about the world around them. It may renew or spark an interest that could last a lifetime. Here are some ideas. 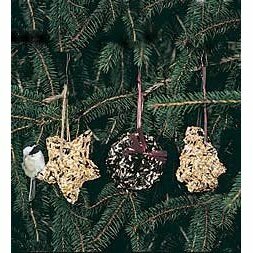 By the way, the CT DEP Store in Hartford CT has a wonderful selection of nature-related gifts (call 860-424-3555 for a free new 2007 catalog). Some of these links are CT-specific, but you get the idea. Some go to null so you can see prices and reviews, but be sure to shop around, and consider supporting local businesses whenever possible or buy from a conservation organization for added benefits. An "Eco-Travel" gift certificate for a field trip or private tour (e.g., with a naturalist). Every nest that is built and has eggs laid in it is a gift.